Where Can I Buy Ooma and How Much Is It? Ooma allows you to save a lot of money if you adopt it as your home phone system. Once you invest in the hardware, you do not need to pay for communication every month. There are advanced features, like cheap international calling, with the Premium service. Note that while you can use the box overseas, you won't reap the benefits of the service fully unless you are a resident of North America, and intend to use it to make calls within that territory. Cheap international calling is a side feature that comes as a complement. There are many retailers throughout the US that sell the Ooma box. Ooma has also signed RadioShack as one of its sales partners. RadioShack will offer more than 3000 sales locations around the US for the Ooma box. In order to use the service, you need a phone adapter and a handset. With Ooma, the phone adapter is called the Ooma Telo. The adapter converts your PSTN line into a VoIP line, such that your phone can use the Internet to route calls for free. The Telo costs around $160. You can try it for 60 days within which you can return it for a full refund. You need a handset to go with it. That can be a simple old phone set, but it will lack many things, including the HD quality voice and many of the features embedded in their handset. The handset costs around $60 and is a nice piece of technological jewelry with a color screen. There are other devices that connect to the system. Linx allows you to extend your phone system wirelessly. It acts as a connecting device for additional handsets that make the link wirelessly. 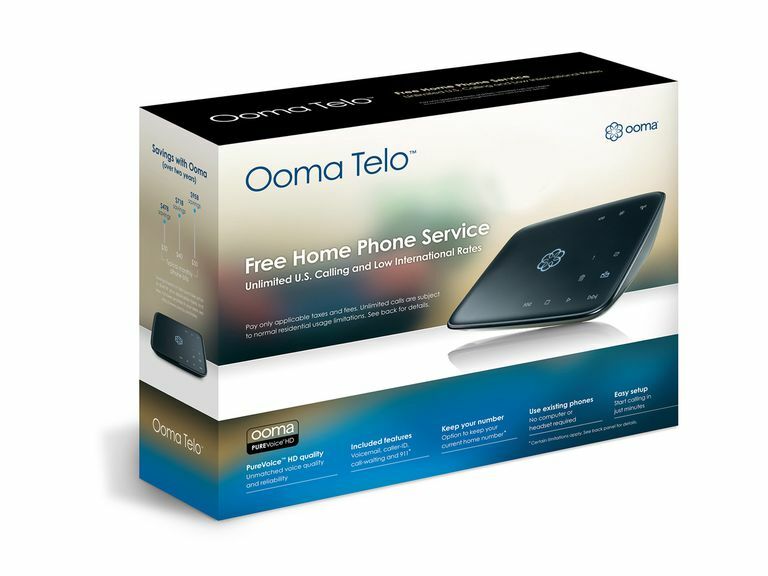 Ooma Telo Air is a dongle that acts as a wireless adapter that connects your Telo to your ADSL network through WiFi. There is also a Bluetooth adapter for connecting smartphones and other communication devices to the system. It would be more efficient and technologically more sensical to have WiFi and Bluetooth connectivity embedded within the Telo itself. Ooma also has a safety phone bead that hands around the neck or is worn otherwise allowing communication in emergency situations. It is ideal for the elderly and sick people. Note that you need a strong ADSL connection permanently connected to the Telo for the system to work, as it is fully VoIP-based. The bandwidth should be sufficient to carry HD voice. Also, you cannot get rid of your landline; you need to the PSTN line to connect to the Telo. The Verizon Wireless Hub: to Buy or Not to Buy?